It’s no secret that discrimination is alive and thriving in our modern culture. Racism and discrimination have been a very big problem in the human race for centuries. From enslaving Africans and shipping them to different countries in the world, to mass genocide of Jewish people during the Holocaust, to Japanese internment camps for all Japanese-American people after Pearl Harbor. We as a human race have repeatedly shown how intolerant of people we are; especially people that don’t look like we do. Since the terrorist attacks of September 11, 2001, on the World Trade Center and the Pentagon, there has been an exponential increase in discrimination towards people within the Muslim community of the United States. Although this happened over 15 years ago, people in this community are still finding it hard to blend in with society. And now Southwest Airlines is the most recent to blame for discriminating against Muslims. 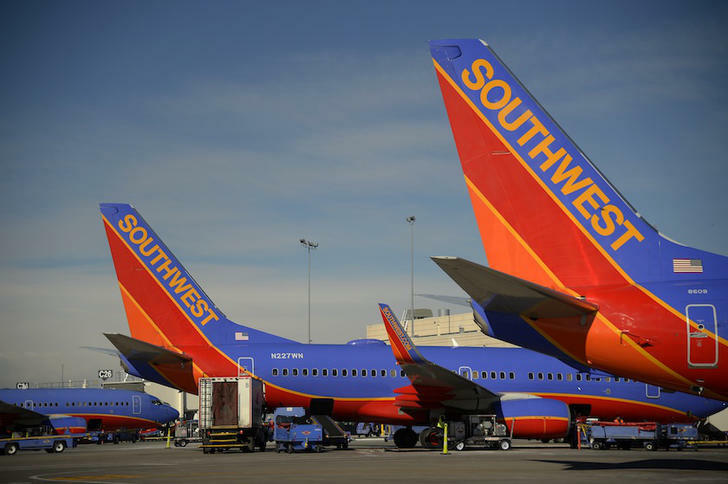 Early last month, an Iraqi college student was dismissed from a Southwest Airlines flight in California after he was overheard by another passenger speaking Arabic. On April 6, Khairuldeen Makhzoomi, who is a political science major at UC Berkley, ended a phone conversation using the common Arabic phrase “Inshallah,” which means “God willing.” After he hung up, according to Makhzoomi, he noticed a closely female passenger giving him a distressed look. “She kept staring at me and I didn’t know what was wrong,” he recalled. “Then I realized what was happening and I just was thinking ‘I hope she’s not reporting me.’” Then minutes after the female passenger left her seat, he was escorted from the plane and questioned by airport security agents. Security began to publicly search his genital area and asked if he was hiding any weapons. Apparently, the woman on the plane thought he said “Shahid,” which means “martyr”, this is a word that has associations to the deadly terrorist strikes that have impeded our culture in recent years. Makhzoomi himself fled the violence of Iraq in 2002, after his father was killed. He was humiliated and frightened by the search. “The way they searched me and the dogs, the officers, people were watching me and the humiliation made me so afraid because it brought all of these memories back to me. I escaped Iraq because of the war, because of Saddam and what he did to my father. When I got home, I just slept for a few days,” he said. Makhzoomi was given a refund, but Southwest Airlines gave him no formal apology. There are countless other examples of such discrimination specifically on airlines. And this begs the question, are we ready to get over what happened to our country over 15 years ago? Do we still not realize it wasn’t a whole country of people who attacked us, but a small extremist terrorist group? We are clearly still shaken up by that haunting day, but that does not give anyone the right to discriminate. Tolerance is essential in our society, if we are ever to progress.